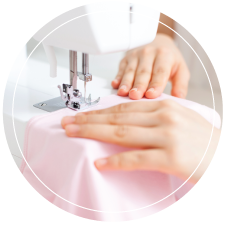 Do you have any patterns that you are interested in making but cannot decide what fabric to use? I usually have the opposite problem, where I love the fabric (afterall, what’s not to love), but cannot decide which pattern to use! But I couldn’t decide what fabric to use! 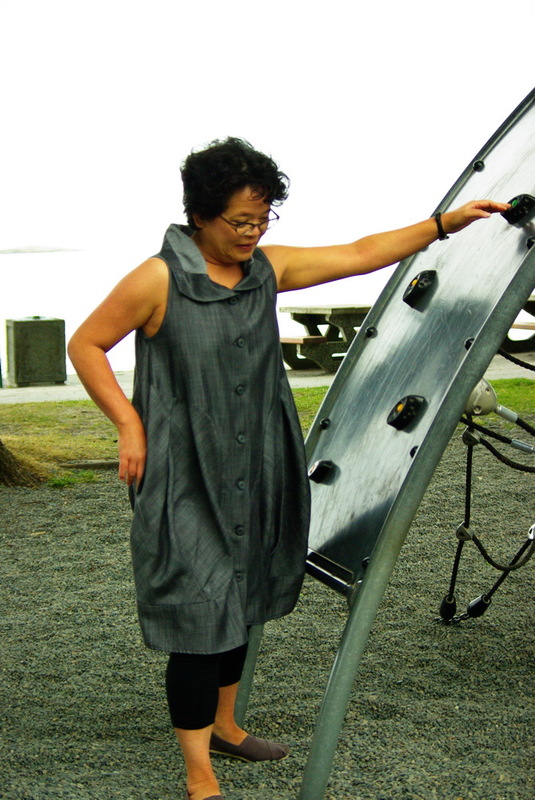 Should I use something with a bit more body to emphasize the shape of the garment, such as a taffeta or doupioni? Should I use a print such as the striped fabric in the illustration? If I use a solid colour, would the design lines show? 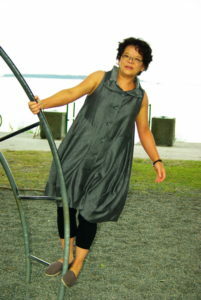 and being grey, it would go with all the black in my wardrobe! As with previous Sewing Workshop patterns, I chose to make the small, even though with my 40″ bust, the suggested size is a medium. Everything was coming together nicely as the instructions are well written. Even though it was optional, I did add interfacing to the front facings as I found the front edges would ripple. The bust fit nicely. 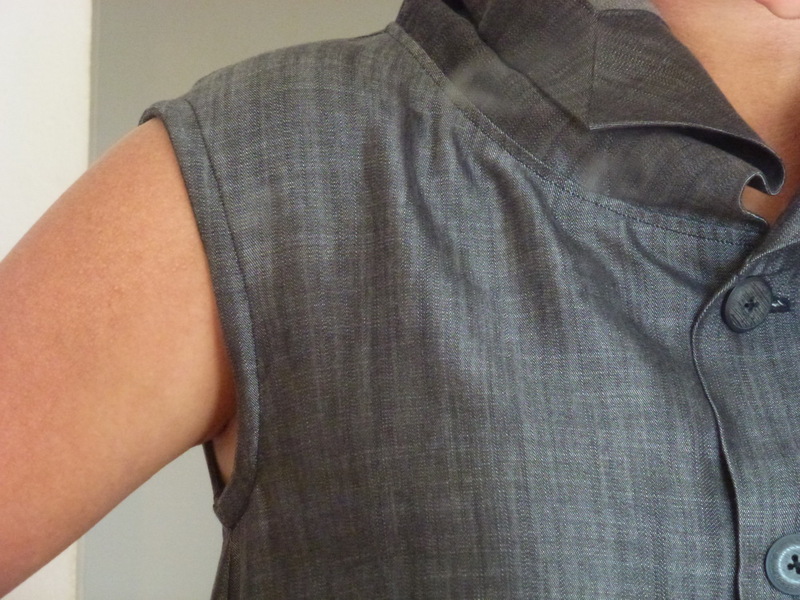 The mitered corners on the collar worked out well. 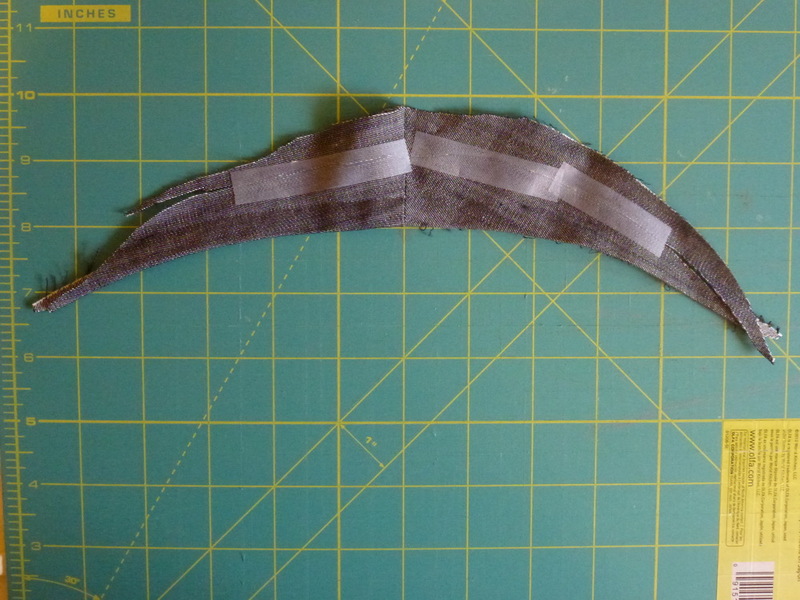 Then I put the bias binding on to finish the armholes and found the armholes too tight! Note how the shoulder seam extends past the edge of the shoulder. Maybe because I have broad shoulders, this style didn’t physically work for me. 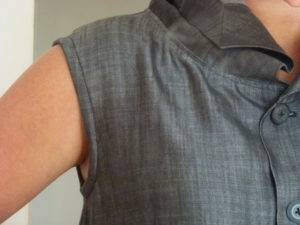 After unpicking the bias tape, local sewing guru, Fern McDonald at Sawyer’s Sewing Center, helped me reshape the armhole. Starting about armpit level, we redrew the curve so that it measured 1.75″ or 4.5cm in from the edge of the shoulder seam. See below for the piece we removed. 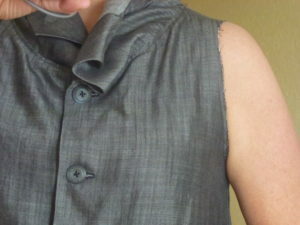 Here is a picture of the new armhole. 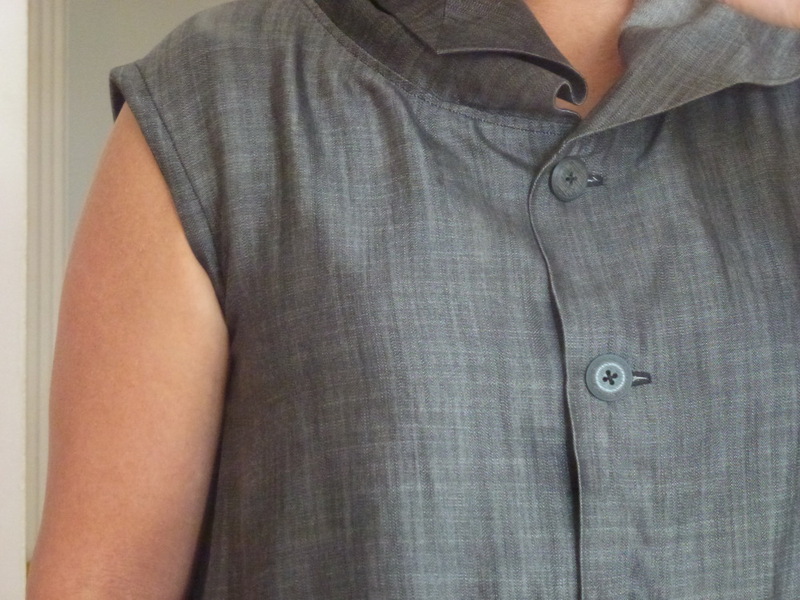 Another lesson I learned from this armhole episode, is make the bias binding fit the shape not the other way around. Since bias binding has inherent stretch, I have a tendency of stretching the bias tape as I sew which results in shrinking the armhole shape. If you look at the second picture of the tight armhole, you can see the gathering of the vest body under the arm. This was because my bias tape was stretched too tight. Love the duster on you! It’s very elegant and nice interpretation. Keep showing us your projects.